a. Login into EasySendy Drip (or EasySendy Pro) and go to delivery Server -> Server Settings. b.Enter Name as “Send Grid” or a name of your choice. c. Goto your SendGrid account and the click on API Keys link; then from top right of the screen select Create API Key > Generate API Key, after this from right side pop-up select “Full Access” for Mail Send, Alerts, Suppression, Whitelabel, Inbound Parse, Mail Settings, and Read access for Email Activity and Stats. After this give a name to this key and save the setting. 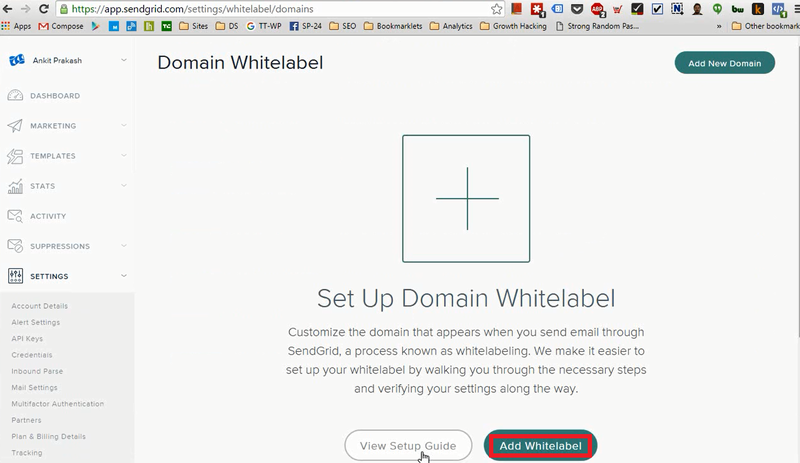 d. Paste the Send Grid user name as server Username name in Easy Sendy Pro. 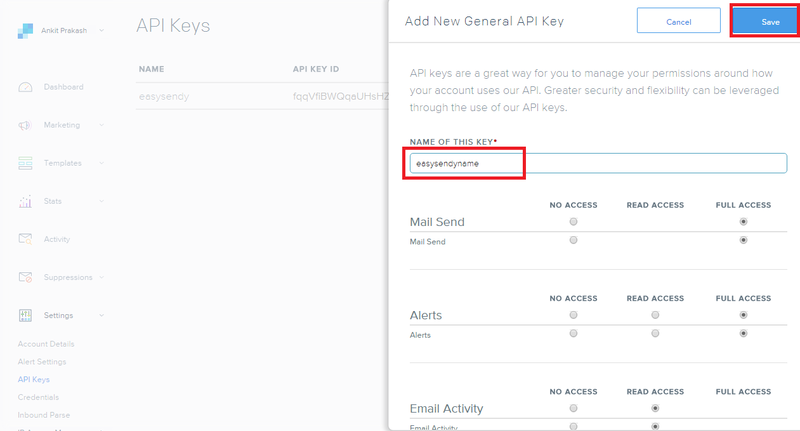 e. While you generate api key; on the next screen you will get API key; copy that API key. 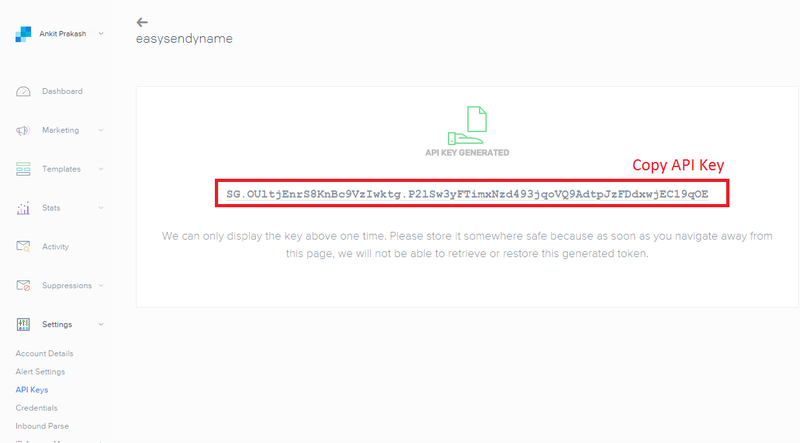 f. Paste the SendGrid API key as server Password in Easy Sendy Pro. g. Enter the details in page. h. Click on “Save” button. a. 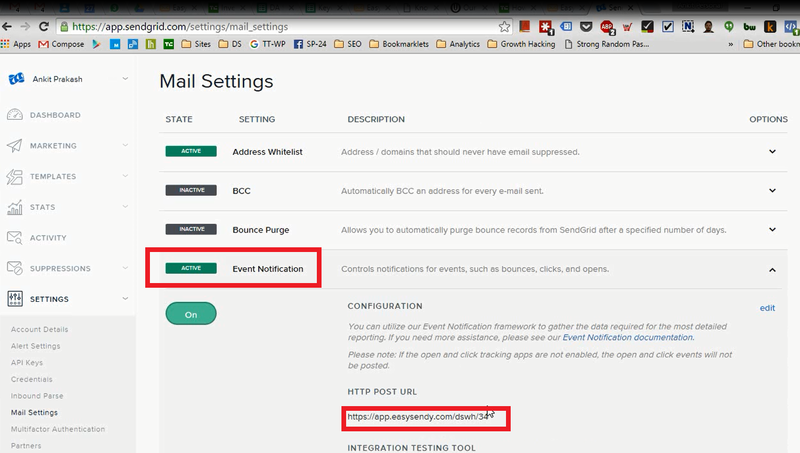 Enter the email ID and click on “Validate Server” button. b. Go to given Mail Inbox and open the mail. c. Click on link inside the mail. d. The status should be changed as “Active” in the “Easysendy Pro” . 5. Confirm bounce and complaint files are setup properly. a. 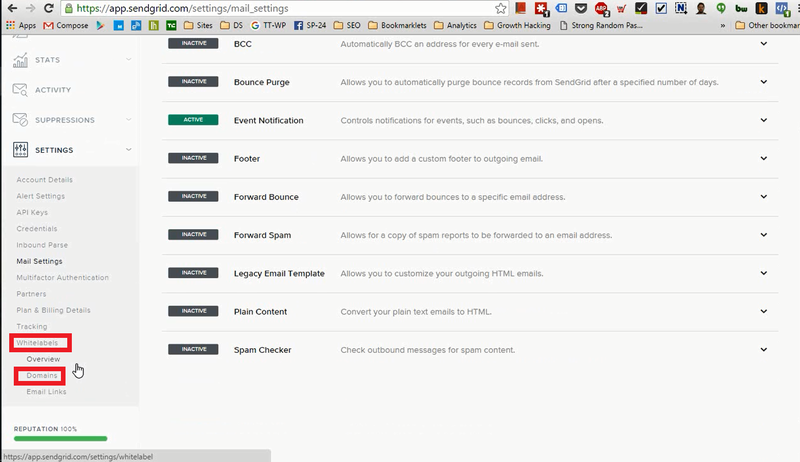 Go to Sendgrid login Settings -> Mail settings. b. Go to “Event Notification”. d. To check the given webhooks inside EasySendy Drip (or EasySendy Pro), go to delivery server > edit the server > click on “Info” tab from the right corner of the screen. 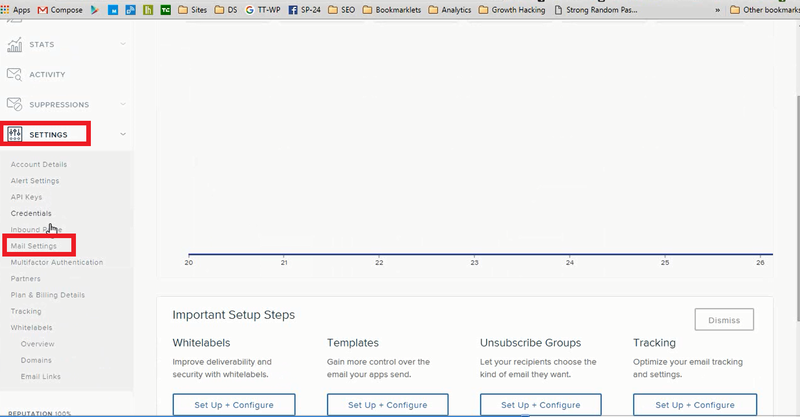 e. In the new pop-up box, you will get the details about the webhooks. 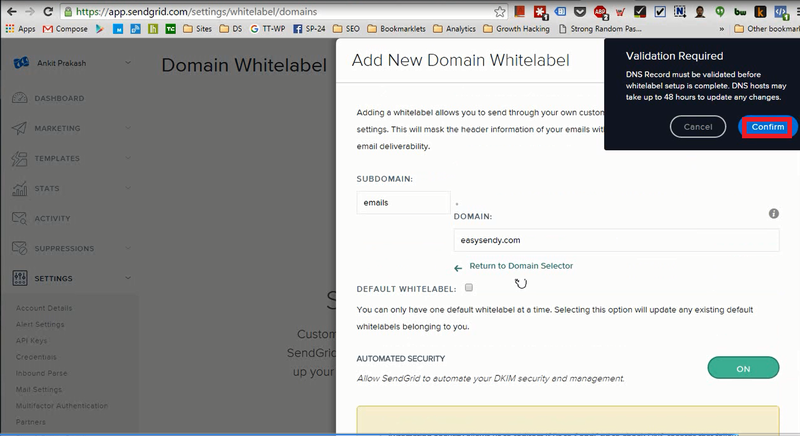 b.Click on “Add Whitelabel” button. 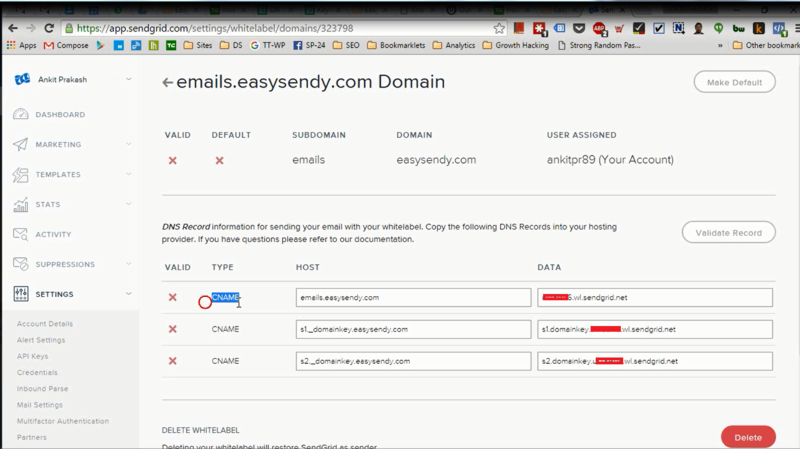 c. Enter SubDomain as “emails” and Domain, for example- “easysendy.com”, in your case, this domain name should be your root domain name which you will use to send outgoing emails from. 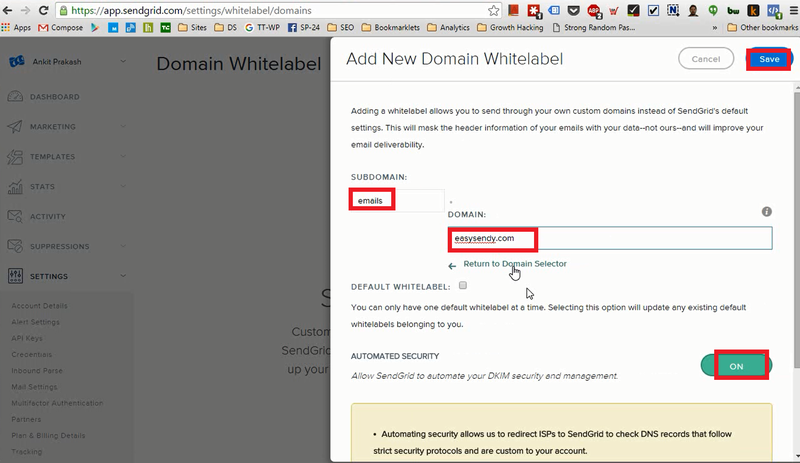 d. Select “Automatic Security” as “On” and click on “Save” button. e. Click on “Confirm” button. f. Check the added record. a. 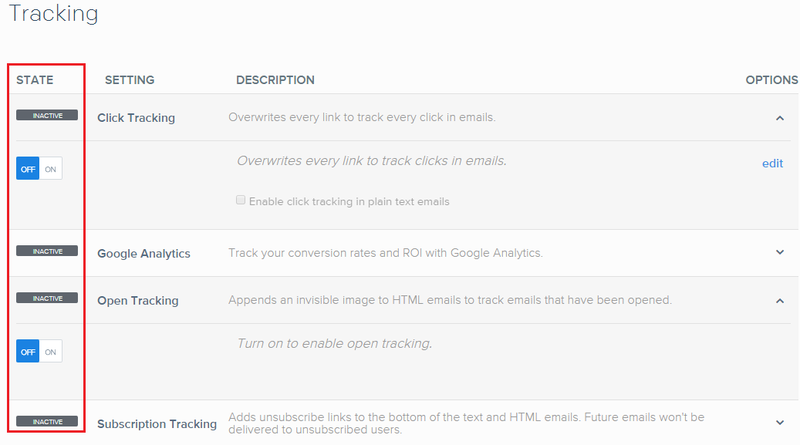 You need to disable tracking in your SendGrid account, otherwise your open and click rate will have duplicate value inside email campaign report. b. Goto Account > Settings > Tracking inside your SendGrid account. c. Then select Disable Tracking for all the settings > Save the Settings.